I believe you can never get enough of a good thing! If once was good, twice is even better -right? So, I’m posting this article by Guest Blogger – Linda Stebbins of Los Ranchos NM for the second time, because the first was way back in 2015 and it is well worth repeating! Linda shares her Gordon Setter Agility Training experience with us and we’re both hoping it might be enough to encourage some of you to give this fun competition a whirl! So here’s Linda… I know you’ll all treat her right, give her a big round of applause or shake her hand to say “thanks so much” next time you see her! Agility success with a Gordon Setter requires flexibility, concessions, a desire to learn, train with restraint and understanding and a SENSE OF HUMOR! One of my Gordon Setters was running a clean course in a large horse arena and at the end of her run, a pigeon dive bombed her and returned to the rafters. She took a sharp U-turn, raced up the dog walk and went on point to the pigeon. So much for BEAUTY, BRAINS and BIRD NONSENSE. Although I do not consider myself an expert, my 25+ years in a breed I dearly love, allows me to make valid comments, constructive criticism and appropriate recommendations. When I write about a topic, I am pulling from my own experiences and do not deny there are other methods and styles of training whether it be in conformation, performance or field. I do not proclaim to be a professional trainer and am in a perpetual learning mode. I do this for FUN! Because I handle my own Gordon Setters in all venues, the journey to their titles is extremely long, self satisfying and rewarding for me. I live in New Mexico where 80% of competitions in the conformation and performance rings are a 7-8 hour drive away. This can be long and grueling but I am totally committed to showing and competing with my Gordons. There is a sense of pride when one can train and show their own dogs. I like to get my Gordon Setters’ Championship and Grand Championship titles as soon as I can so I can start playing in the agility ring. I don’t begin competing in trials until my Gordons are two years old and I know that their growth plates are closed. I use rally trials as a tool for socialization, obedience and positive reinforcement. My true love is agility and I can honestly say I am an agility-holic. Before agility I participated in obedience and hunt tests. Agility became a strong desire for me because it gave me and my Gordon Setter a sense of mental and physical challenge. I truly appreciate Gordons who have titles on both ends of their name, and there is every reason for a Gordon to be extremely successful in this sport if so desired. I am a strong proponent of breed standards so when one wants to take up agility with their Gordon Setter, we must keep in mind how substantial this sporting dog is. The normal jump height is 24″. The physical demands of agility are significant. Larger boned dogs may require negotiating some of the obstacles more carefully. Good structure (balanced conformation), temperament and soundness are very important. They aim to please. They can hunt expertly, are extremely agile, obedient out of love, flow like a stream in the show ring, are a form of positive therapy for the owner’s “dog days”, full of snuggles and contentment whether in your lap or in their beds. As a learner, the Gordon Setter in general is intelligent, quick to learn and of bold character. I like the Gordon’s willing and forgiving attitude which makes a great partner. Curiosity and independence are traits which I think allow the Gordon to be a successful student. My training philosophy consists of the Five F’s “Fun, Fair, Firm, Flexible and Fun”. I support positive reinforcement using rewards based methods. I want to develop teamwork. As the handler, you have to think step by step through the shaping process needed to train for an end behavior. I enjoy looking for the good things my dog does successfully. Rewards I use are treats, tug toys, tennis balls and/or verbal praise. Clickers are a true way to mark desired behaviors for problem solving and I do incorporate that in my training. Eventually the clear click sound transfers to me saying “YES” or “GOOD”. Whatever the method, I want to find a special connection that makes us a team. My puppy starts in puppy socialization class which includes manners, and then moving into basic obedience where he/she learns to have a reliable sit, down, stay, and recall. We transition to “flat work” which is agility foundation, teaching me how to handle and making my body language clear and timely. The puppy learns how to take direction from me. After all, it is on the flat surface where I do most of my job navigating my Gordon. A combination of training class, private lessons and creative home training make a great equation for success on the agility course. A class exposes my Gordon to different sounds, breeds and people. Private lessons help clarify and tweak those skills that I so desperately need to have for my Gordon to advance. Homework is a must and this reinforces and gives my Gordon a purpose. At home I like to introduce my puppy to a rocker board, and later trading it out for a wobble board for building confidence and being comfortable with movement and sound. The Fit Paws Disc is another way to develop canine fitness, balance and confidence. Learning fundamental skills properly is vital because training mistakes will be very hard to fix later on. I have learned from my mistakes and work to overcome them. One big recommendation is do not compare the speed of your progress to other members of your class. This has been very difficult for me to ignore, primarily because I am generally the only sporting dog in a class of many herding dogs. I find the herding breeds are a natural for this sport and excel quickly. When searching for an agility instructor and facility, attend a local trial where you can watch the various handlers and trainers. Find appropriate times to talk to the people and ask them questions about the training methods, styles, techniques, etc. I find most agility competitors are very receptive and want to help newcomers. When you visit training centers and talk with the instructor(s), see if he/she has a willingness to work with all breeds and a variety of energy levels. Not all dogs are high driven. I have had Gordon Setters who have been moderate in drive and consistent on the course. I also have had the total opposite where I have had over the top, high driven Gordons. Once again, don’t compare your Gordon to the speed demons. The instructor should be able to work with all levels of drive. Of course this goes without mentioning, but knowledge and staying up with current changes in the sport is crucial. I personally need to work with someone who has a sense of humor. After all, Walt Disney didn’t create Goofy after the Gordon Setter for nothing. This is supposed to be a FUN sport for you and your Gordon. Make sure there are a variety of classes offered, addressing specific skills and it is not just your basic levels of agility; availability and communication is vital. My READY SET(ter) GOOO! instructor(s) will ask for a video of my homework attached in an email. I will receive feedback commenting on the rights and wrongs. This is extremely helpful! The training center must offer a good foundation so when your Gordon is ready to compete, it is confident and safe on the equipment. Agility is constantly changing and evolving. Many handlers have gone to the internet to take instruction. I have not experienced this type of training but it is getting to be more and more popular. In fact books became outdated quickly and the internet has taken its place. Seminars and camps are well sought after and the training center you attend will have announcements posted. The monthly magazine – Clean Run Magazine or check out their website by clicking here. Book by Nancy Gyes – Alphabet Drills (click title of book to be linked to Amazon for detail). Kim Terrill (Training/Activities Director) Owner and handler of canines winning AKC Agility Nationals, USDAA Agility National as well as many regional agility and obedience trials. Linked here are videos. Gordon Setter Club of America members who have far exceeded anything I have accomplished and are reliable resources are Gail Deller, PA, and Susan Wey, TX. I am sure there are many others who are knowledgeable and successful but these three have helped and supported me immensely in the sport. Team Work and Making the Dream Work requires your commitment, patience and sense of humor as an agility handler. Those embarrassing moments will occur and you must be willing to be amused by your Gordon Setter’s exuberant antics. It just means you didn’t proof the skill or train it long enough. 99% of the mistakes made fall on the handler, not the dog! The Gordon Setter can transfer the ordinary day into extraordinary moments and memories. GSCA All Breed Agility Trial! Ring in the New Year with a GSCA All Breed Agility Trial! As a fundraising effort for the 2019 GSCA National Specialty, the host committee is putting on a THREE day agility trial. The event will take place December 29th-31st, 2018 at Purina Farms near Saint Louis, MO. We’ve got some great judging lined up, and would love to see more of our Gordon Setter Clan there! The premium list is attached. If you have any questions, please reach out to the trial chair, Melissa Fritz (fritzfamily123@yahoo.com). Hope to see you in December! Thanks you Rachel for sharing this with us and to all the voluteers working to make it happen! Best of luck to all competitors! Photos from the National Specialty Agility Trial in Ohio 2016. PREFACE: The sport of purebred dog competitive events dates prior to 1884, the year of AKC’s birth. Shared values of those involved in the sport include principles of sportsmanship. They are practiced in all sectors of our sport: conformation, performance and companion. Many believe that these principles of sportsmanship are the prime reason why our sport has thrived for over one hundred years. With the belief that it is useful to periodically articulate the fundamentals of our sport, this code is presented. Sportsmen respect the history, traditions and integrity of the sport of purebred dogs. Sportsmen commit themselves to values of fair play, honesty, courtesy, and vigorous competition, as well as winning and losing with grace. Sportsmen refuse to compromise their commitment and obligation to the sport of purebred dogs by injecting personal advantage or consideration into their decisions or behavior. The sportsman judge judges only on the merits of the dogs and considers no other factors. The sportsman judge or exhibitor accepts constructive criticism. The sportsman exhibitor declines to enter or exhibit under a judge where it might reasonably appear that the judge’s placements could be based on something other than the merits of the dogs. The sportsman exhibitor refuses to compromise the impartiality of a judge. The sportsman respects the AKC bylaws, rules, regulations and policies governing the sport of purebred dogs. Sportsmen find that vigorous competition and civility are not inconsistent and are able to appreciate the merit of their competition and the effort of competitors. Sportsmen welcome, encourage and support newcomers to the sport. Sportsmen will deal fairly with all those who trade with them. Sportsmen are willing to share honest and open appraisals of both the strengths and weaknesses of their breeding stock. Sportsmen spurn any opportunity to take personal advantage of positions offered or bestowed upon them. Sportsmen always consider as paramount the welfare of their dog. Sportsmen refuse to embarrass the sport, the American Kennel Club, or themselves while taking part in the sport. 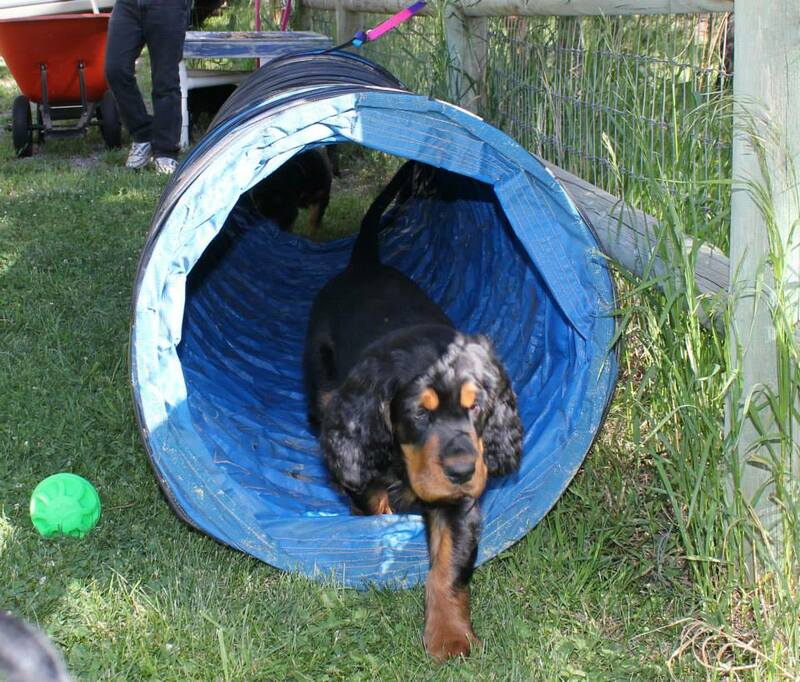 Thinking about starting your Gordon Setter in Agility and wondering how to start? Below you’ll find a free video download from Bad Dog Agility. You can also search for other training articles published on this site by clicking the magnifying glass on the top right hand side of this page and typing in training, or you can see all the articles by clicking on the word “Training” in the Content Cloud on the left hand side of this page. 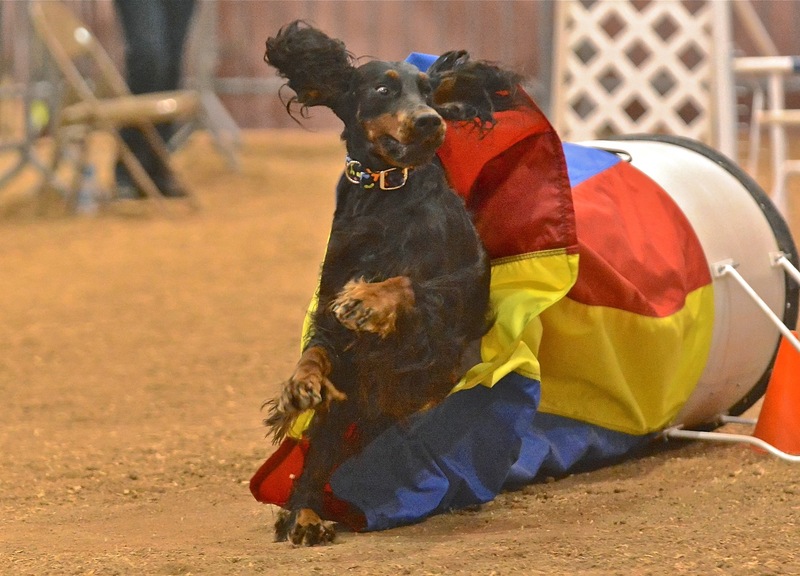 To see Gordon Setter agility training in action view click the link to an excellent article “Ready Set(ter) Gooooo!” written by Linda Stebbins. Challenge yourself and your dog — download the free ebook now! And visit us at Bad Dog Agility for more articles, videos, and podcasts. Download the ebook by clicking the button below! Looking for any of our experienced Setter Agility trainers to share their favorite techniques and/or training courses. Respond with your suggestions in the comment section of this article or send us an email at gordonsetterexpert@gmail.com. 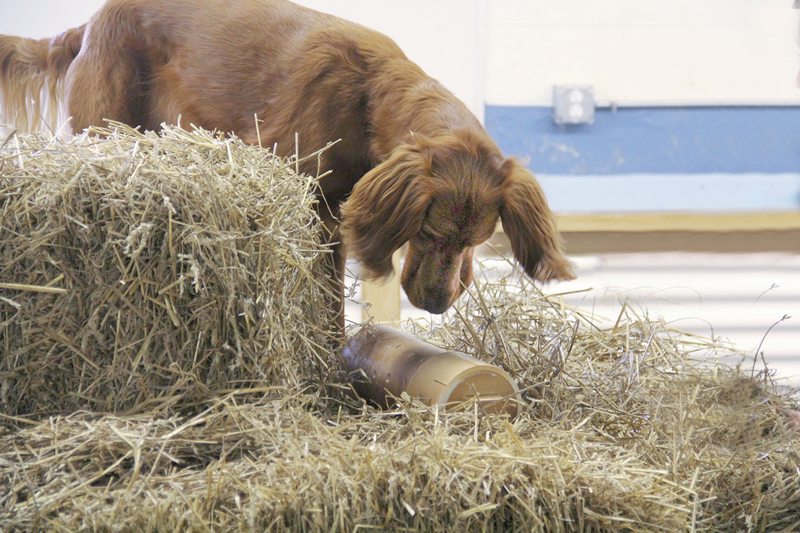 The AKC will now offer two new entry-level agility classes. These classes, Agility Course Test (ACT) 1 & 2 will allow beginners an easier entry into the sport. The classes will have shorter courses with basic obstacles specifically designed for beginners. ACT 1 & 2 will serve as the graduation exercise for training classes and can be held at regular AKC agility trials or as stand-alone events. Setter Obedience – Anyone Want to Chat About It? Carol Raschella reached out to me and asked if I would reach out to you, to learn how many would be interested in putting together a group for Setter people who are working at (performance) training, such as obedience or agility – this would especially apply to those who want to compete to attain titles on their dogs? She’d like to help us create a question and answer place, a student and mentor relationship group, where all are welcome and training questions get answered with techniques that work for our Setters. There are so many opportunities to compete for titles out there today, starting with obedience of course, but we’ve added all of the various agility levels, and things like rally, flyball, barn hunting, and so the list goes. Carol mentioned that 14 years ago she formed a Setter obedience chat group on Yahoo, and while the group activity has since dropped, she wonders if perhaps it should be revived, or, if you all have some other ideas, she’s willing to work to start something new or different. The name of the old Yahoo group, if you’d like to check it out is Setter Obedience: https://groups.yahoo.com/neo/groups/SetterObedience/info. We’ve included the original group’s description below to give a sample of the overall concept that could be adapted to align with all of the new sports available now. Group Description: This group is for the discussion of competition obedience training in any of the Setter breeds – Irish, Gordon, English, Red and White. Share your training tips, techniques, experiences, observations as they pertain to the unique temperament and abilities of our beloved Setters, including the differences and similarities among the four breeds. And brags of course, are welcome too! No flames please, we don’t want to embarrass our dogs. Let’s get a poll going here so Carol and I can work with you, if there is interest, enough interest, to get something up and running for you. If you would be interested in joining this type of group, as either a student, or acting as a mentor to help others, please complete the following survey! Check all of the boxes below that describe your interest level in a Setter training group:(required) I am new to training and would join a group like this for help. I have extensive experience and would join the group to answer questions a offer training advice. Use this field to tell us about your training experience, the types of titles you've completed and the types of training experience you can share with others. Whether you’re a new Gordon Setter owner or have lived with them for years, training our breed can have it’s own quirks and sometimes it’s helpful to have the expertise of a trainer who has worked with our breed. Lucky you, because Gordon owners are generally friendly folks who are willing to offer advice and training suggestions at the drop of a hat! I’ve found a couple of folks who are willing to offer training suggestions and wanted to share their information with you here today. Barbara writes a column and will answer your questions, best of all she also has experience working with Gordon Setters. We are always searching for trainers who are willing to help our readers, if you are an experienced trainer who is willing to share your expertise please drop us a line at gordonsetterexpert@gmail.com to let us know that we can include you in our list of those who are available to answer questions and offer advice. The Very Versatile Gordon Setter – Meet Tyler Dargay! Introducing an ideal video sharing a true Breed Ambassador – Tyler Dargay and his loved ones, Bill and Diane Dargay. “Beauty, Brains & Birdsense” are the watchwords describing how life can be loved with a Gordon Setter as your family companion. In this video Tyler plays a starring role, taking us on a tour of his life and times. From his relaxed pose as a regal and beautiful member of the Gordon Setter breed calmly enjoying a well-behaved moment with his family, this video follows Tyler and takes us through his many and versatile paces; from his job as lifeguard, to treks in the field to find game birds with Bill, to the fast paced fun and games of Flyball competition with Diane, to the quiet time he devotes to soothing and comforting the ill. Tyler is indeed a true Breed Ambassador, a superb example of life at it’s best with a Gordon Setter by your side. The next time you’re trying to explain why you love Gordon Setters, you might simply show them with this video! Thank you to Gordon Setter Club of America members Bill and Diane Dargay for sharing Tyler with us! This 4:35 minute video clip is from a 12 Episode session for Doggone It about Sporting Breeds produced by ESPN and aired in 2004. We’re in need of Performance material to publish for our readers on this Gordon Setter blog. We truly need your support and expertise to build reference material for those who are seeking information and mentors to help them learn more about performance competitions and training. We need your expertise and encouragement to draw more owners to enjoy time with their Gordon Setters in performance competitions. We are always seeking writers to share their material, experiences, or expertise here. We are always seeking training enthusiasts to share links to websites or other blogs of value to those who share your passion or are seeking knowledge. We are always seeking your recommendations of books and videos. You can reach us at gordonsetterexpert@gmail.com with your contributions or questions. Hope you’ll join in to make some noise about your adventures in performance events!